Please note. This is Saga Version 1, the Original. 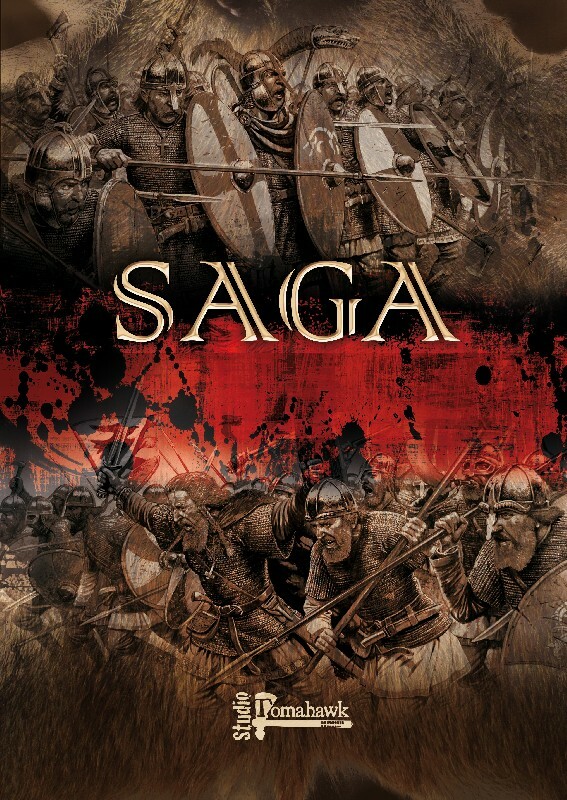 Saga is a game for model soldiers set in the Viking Age when strength and bravery were worth a thousand men. This rulebook contains all the necessary information you need to discover the SAGA gaming system. You will find not only all the game rules, but also a selection of scenarios to get you started plus four of the factions involved in the wars of the Viking Age (Anglo-Danish, Vikings, Welsh and Normans – with more to be published.) With plenty of illustrations, step-by-step examples and diagrams, learning the game mechanisms is simple and intuitive. Less than thirty models per side are needed to start playing, so get ready to immerse yourself in this age of heroes and write your own saga. SAGA uses ordinary D6 dice and special SAGA Dice and to play the game, each player will need their own set of SAGA Dice. SAGA Dice are six sided and covered in special Warband specific symbols. There is a section in the rulebook explaining a Do-It-Yourself solution for SAGA Dice or you can buy one of our lovely specially commissioned SAGA Dice sets.